Pretty Things: Yum.. been cooking..
Last week I finally had some energy back and I did some cooking. I made a baked cheesecake from the latest Good Food magazine which turned out absolutely divine. 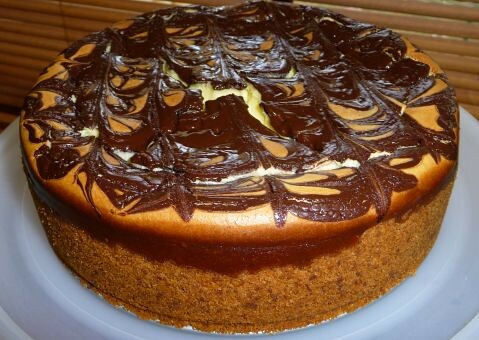 I love baked cheesecake! I also made a lovely chicken korma curry from the Jamie Oliver Ministry of Food book (sorry, no pic) over the same weekend. I am not a brilliant cook, so this was quite an achievement for me. It ended up totally delicious and I would highly recommend this book to any starter cooks. DH is a BIG Jamie Oliver fan...we cook out of his books every nice...all great!